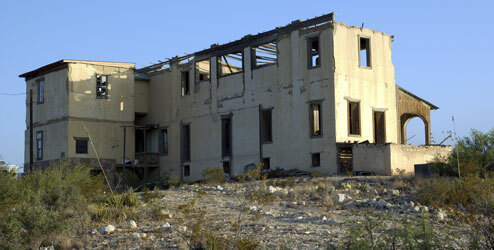 The Ghost Town in Terlingua, Texas, is the home of the Big Bend Holiday Hotel, the Terlingua Trading Company, and the Starlight Theatre Restaurant and Bar. 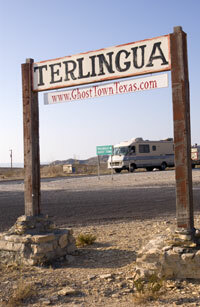 Conveniently located in scenic downtown Terlingua, Texas -- just a few exits past the end of the world -- Ghost Town Texas is a special place. This spectacularly primitive Texas landscape and the ruins of the Chisos Mining Company are the setting for exploration, relaxation, and good times. Stop by, sip a cool drink, enjoy the shade of our front porch, and hang out. You'll go home with some stories to tell. The Terlingua Trading Company offers regional arts and crafts, gourmet goodies, and books full of regional secrets. The Starlight Theatre has evolved into an incredible restaurant and bar. 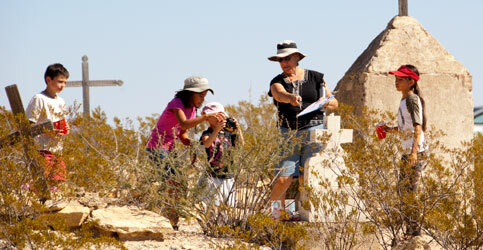 And the Terlingua cemetery offers a reflective glimpse into the area's history. There are no fences in the ghost town, so roam around. Explore. Imagine. You'll find a lot of things to think about. Tell a friend about the Ghost Town Texas website.